She is a bestselling author, an educator to farmers, children, and business owners, a member of the Rainforest Action Network, and the head of the Real Food Media. Anna Lappé, an advocate for sustainable food systems, spoke at the University of California, Santa Barbara on Thursday about the different ways that sustainability can be achieved through different farming practices and different eating practices. She focused on the global warming impact of livestock. Livestock accounts for about 18 percent of greenhouse gas emissions from the U.S., whereas automobiles are only 13 percent of all emissions. 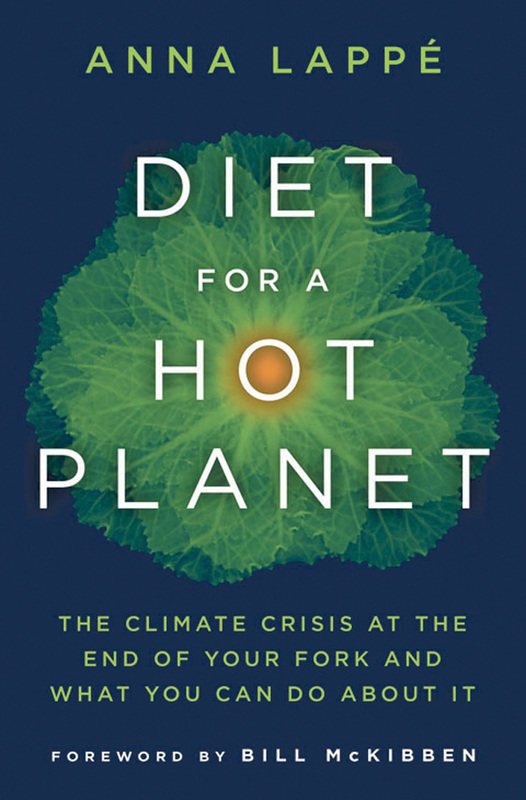 Lappé expressed frustration that we aren’t hearing very much on the correlation between food and climate change. “About 50 percent of all food that could be eaten is wasted,” Lappé said. Yet industries are saying that the only way to keep up with our growing population is to produce more food. However, with more food comes more livestock and recently, the way in which we raise these animals has changed. For example, large lagoons jam-packed with livestock serve as open air manure pits and release high concentrations of toxic gases, ammonia, and nitrogen sulfate. So large industries, contrary to popular belief, are not the answer Lappé believes we need. She explained that while it may seem like farmers are part of the climate change problem, they are in fact a big piece of the the global warming impact puzzle. Lappé’s suggested system of agro-ecological farms has shown better resiliency during drought years, requires less energy, and releases fewer greenhouse gases. This new type of farming is also being incentivized. IAASTD provides a study that shows that scientists around the world are saying we need these agro-ecological methods in order to reduce further climate change. Organic systems throughout the world are on the rise, proving that it’s possible to shift the world to a purely organic way of farming. During her talk, Lappé explained that organic products are much more feasible than previously given credit. She spoke of the reasoning behind popular beliefs (such as organic food being only for the rich) by explaining the framing theory. It is a theory that essentially states people shape their way of thinking based on experiences and the media. Organic foods are represented less by the facts and more by certain correlations. She explained that there is power in framing these practices positively because people hear the framing of social consciousness before actually understanding the facts. Lappé explained that it takes work and time to change our frames and to shift toward agro-ecological farming, but she encourages students by explaining how simple the switch really is. The food industry may be a key culprit, but agro-ecology is a key part of the solution to help us have a biodiverse and resilient ecosystem. There have been huge shifts in public conversation and Lappé conveyed her hope that we are moving in the right direction towards these crucial changes. She believes, as Martin Luther King Jr. once said, “The arc of the moral universe is long, but it bends towards justice.” The arc doesn’t bend on its own; it requires all of us to do our part in stopping climate change, simply by understanding where our food comes from.